If you’re looking for simple, functional and free voice recorder our application is a top choice. 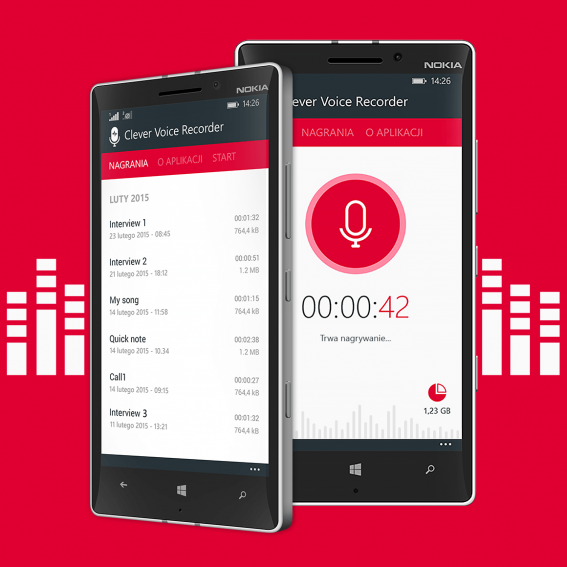 Clever Voice Recorder is a handy tool, which allows you to upload high quality voice and sound records on your OneDrive and stick them to your start screen. All recordings can be easily shared with the application as well as lose out on the computer. Just plug your phone with a USB cable. It will meet the needs of the busy professionals as well as everyday users. Just install and enjoy the possibilities of Clever Voice Recorder!